Rounds 56 – 70: sc between the markers at the front and slip stitch at the back. 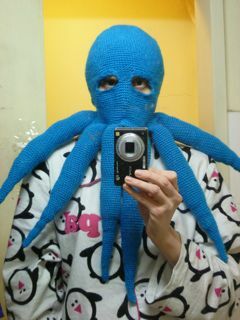 Stuff tentacles and sew them to the balaclava. Go ramp skating.